COMBATING YOUTH VIOLENCE: Nearly two-thirds of all New York public school students say they have heard gunshots in the past year. Last year’s school shooting in Parkland, Fla. is a haunting vision. The Trust is investing $160,000 in the New Yorkers Against Gun Violence Education Fund to train community members to work with public school students to reduce violence in high-crime neighborhoods. ADDRESSING CLIMATE CHANGE IN POOR COMMUNITIES: Low-income neighborhoods are more vulnerable to climate change because they often lack the resources to cope with extreme weather events and higher energy costs. To help these communities, The Trust is continuing its investment in the New York City Environmental Justice Alliance, with a new grant of $75,000 to ensure that local and state climate policies benefit poor communities. HELPING PATIENTS UNDERSTAND THEIR OPTIONS: Consumers need accurate clinical and financial information about palliative care. With a $75,000 grant from The Trust, FAIR Health—an organization established to bring transparency to health-care costs—will add a tool to its website to help patients understand their options and make informed decisions about the cost of their care. IMPROVING PUBLIC TRANSIT FOR LOWER-INCOME NEIGHBORHOODS: New York’s Manhattan-centric approach to public transit makes it difficult for residents in low-income neighborhoods and for low-wage workers outside of Manhattan to commute. A $87,000 grant to the Regional Plan Association will support its ongoing effort to connect Brooklyn, Queens, and Bronx neighborhoods with a light rail transit service. Animal Care Centers of NYC, $75,000 to provide free veterinary and humane care to pets owned by residents of the Bronx and Queens. This investment will not only address the health of pets, but reduce the number of pets surrendered to shelters. In 2018, pet surrenders dropped an average of 50 percent in the areas targeted by the program. Staten Island Arts, $217,000 to continue a Trust-supported effort to expand and diversify audiences for Staten Island arts groups. As a result of the grant, Staten Island Arts will help organizations market their programs to reach new audiences, including people with disabilities. Coalition for Behavioral Health, $75,000 to develop a strategic plan for New York’s lead behavioral health advocacy and membership organization to respond to changes in health care delivery and financing systems. Mayor’s Fund to Advance New York City, $150,000 for Connections to Care, a program to help community-based nonprofit staff identify and make referrals for mental health care. The grant will help pay for technical assistance and evaluation for the Connections to Care program. Service Program for Older People, $75,000 to improve access to mental health care for older adults, including those who are foreign-born, LGBTQ, or facing vision loss. Vibrant Emotional Health, $100,000 to help New York nonprofits prepare for and respond to crises by training their professionals to develop protocols and toolkits that will lead to better mental health care during crises. Brooklyn Community Pride Center, $80,000 to expand a program that helps unemployed gay, lesbian, and transgender young people with little or no job experience complete training programs and eventually land part-time or full-time employment. Exalt Youth, $100,000 to expand a promising internship program for court-involved teenagers. To date, more than two-thirds of the program’s participants have completed their internships and all of them have remained in high school—outcomes that are considered excellent for court-involved young people. FIERCE, $65,000 to improve a leadership program exclusively for lesbian, gay, and transgender young people. Futures and Options, $100,000 to expand its internship program for City high school students from 600 to 700 and focus its recruitment for the program on young men living in public housing and youth shelters. Last year, 95 percent of the 600 students who took part in the program completed their internships at City agencies, nonprofits, and businesses—including companies such as JP Morgan Chase, Kirkland & Ellis, and Salesforce. Hope Program, $100,000 to help young adults living in public housing and youth shelters find jobs, open bank accounts, and learn how to save. It will also provide ongoing support to 70 alumni of the program to help them retain and advance in their jobs. Knowledge House, $125,000 to expand a free coding program for low-income young people in 10 Bronx high schools, with the goal of placing 50 graduates of the program into technology jobs. myFace, $65,000 to provide speech services for children with craniofacial differences and train school and community speech therapists to help young people with speech and language disabilities succeed in school. New York City Ballet, $50,000 to expand a ballet program for children with autism spectrum disorder and physical disabilities. The program gives children with disabilities the chance to learn from professional dancers and participate in high-quality ballet instruction. Grameen America, $85,000 to help immigrant women entrepreneurs digitize their financial operations to better manage loans that help build their businesses. Housing Conservation Coordinators, $65,000 to provide legal services and advocacy for low-income residents of buildings with expiring 421a tax abatements. Riders Alliance, $80,000 to advocate for sustainable improvements to the subway system. Urban Homesteading Assistance Board (UHAB), $70,000 for solar installation, financial management, and other services for limited-equity cooperative buildings, which help preserve affordable housing for 30,000 New York families. Environmental Protection Network, $80,000 to analyze the effect of Environmental Protection Agency budgets and policies on progress towards clean air, water, and land. Getting Ready for Baby Coalition, $150,000 to advocate for eliminating toxic chemicals from children’s products. Gowanus Canal Conservancy, $130,000 to ensure that land use decisions and public investments in the Gowanus area of Brooklyn reflect the needs of community members. Healthy Babies Bright Futures, $150,000 to help cities prevent childhood exposure to neurotoxic chemicals including pesticides, diesel emissions, lead, and flame retardants. Long Island Sound Stewardship Fund, $50,000 for a funder collaborative to protect and restore water quality and wildlife in the Long Island Sound. Public Employees for Environmental Responsibility, $60,000 to protect the use of climate science in federal policymaking. Riverkeeper, $120,000 to promote better use of City green spaces to manage runoff and protect from climate change. Urban Green Council, $75,000 to advocate for green building practices that would reduce greenhouse gas emissions from City buildings by at least 20 percent over the next decade. Association of the Bar of the City of New York Fund, $65,000 to identify ways to prepare young black and Latino New Yorkers for legal careers. Public Policy and Education Fund of New York, $140,000 to press the State to account for the needs of English language learners and students with disabilities when analyzing the fairness of school funding. Actors Fund of America, $231,000 to help retired and elderly entertainment professionals secure health coverage, affordable housing, and mental health support. Services and Advocacy for GLBT Elders (SAGE), $200,000 to open two new affordable housing developments for LGBTQ formerly homeless older adults. American Heart Association, $120,000 to ensure a smoother transition for heart failure patients moving from a hospital to a skilled nursing facilities or community care. Callen-Lorde Community Health Center, $100,000 to help the city’s leading gay, lesbian, and transgender-focused health center expand into Brooklyn. CareMessage, $100,000 to use text- and voice-message systems to improve patient engagement at three federally qualified health centers. Center on Budget and Policy Priorities, $150,000 to monitor and address the impact of federal policy and budget changes on low-income New Yorkers. Previous grants protected SNAP from federal budget cuts. Supportive Housing Network of New York, $150,000 to connect high-cost Medicaid users—those with chronic medical and behavioral health conditions—with supportive housing units. United Hospital Fund of New York, $150,000 to use research to inform health policymaking in New York. New York Landmarks Conservancy, $40,000 for repairs to reverse the ongoing deterioration of Frederick Law Olmsted’s Staten Island residence, and plan for its historic preservation. Black Women’s Blueprint, $75,000 to provide advocacy and counseling for young women who are victims of violence. 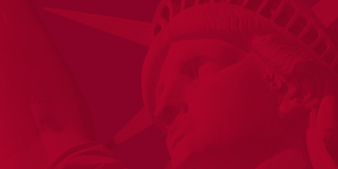 Fund for New Citizens, $150,000 for a collaborative fund to assist immigrants and refugees in New York. Safe Horizon, $100,000 to design a less restrictive “open shelter” for domestic violence survivors and their families. Women’s Housing and Economic Development Corporation, $50,000 to improve home-based child care using an assessment instrument. Federation of Protestant Welfare Agencies, $125,000 to develop an interactive online database tracking federal funds to City agencies for local programs and services.